While the public sector continues to play a prominent role in Jordan, the privatization process it has successfully implemented for over two decades has seen a surge over the past 18 months, and shows no signs of slowing. Jordan’s economy continues to grow with the support of development financial institutions—such as the World Bank and the European Bank for Reconstruction and Development (EBRD)—despite the regional security environment. This is reflected in an accumulative portfolio of projects worth over $1 billion. • Jordan’s privatization success is based on a clear strategy, a strong reformist agenda that is fully supported by the government, the provision of the appropriate procedures for its implementation, and a high degree of transparency through the privatization process. • Despite its economic and regional challenges, Jordan’s stability is reflected in the way the political elite has responded to these challenges—ostensibly by implementing a highly successful privatization program that sets a model for the wider region. Currently, Egypt seeks to adopt Jordan’s energy policy reforms to deal with its own political and financial instability. • Jordan’s stability has been applauded by its political allies, such as the U.S., and has paved the way for an increase in foreign investment from a number of development financial institutions (DFIs) and private investors, who consider Jordan a viable partner within the turbulent MENA region. Jordan’s public sector is responsible for building, developing and maintaining the country’s infrastructure. However, over the years, the Jordanian government privatized certain sectors after realizing that the public sector was unable to shoulder the burden of developing and maintaining large projects. The government has prioritized the privatization process as part of its reformist agenda since the 1990s, through a series of initiatives that were established over the years. As a result, policy initiatives were launched to reduce the government’s direct participation in order to allow the private sector to manage the various industries that were vital to Jordan’s economy. To date, it is considered one of the most successful privatization programs due not only to the clear strategy that was implemented by the Jordanian government, but also because of its general high level of transparency. The success of its privatization program has also been attributed to a well-established reform agenda fully supported by King Abdullah, and a clear strategic vision that has been successfully implemented over the years. Jordan is aware that it needs to provide the best services for investors, and King Abdullah has ensured that this happens by issuing a Royal Court statement. For example, the Jordanian government introduced a Privatization Law and an Executive Privatization Commission (EPC). The EPC is under the supervision of the Privatization Council, which is chaired by the Prime Minister and includes the membership of several ministers and Heads of relevant departments. Overall, the EPC is responsible for the privatization operations within the government’s policy and through the Privatization Proceeds Fund. Overall, Jordan has adopted a multi-dimensional approach to privatization. According to Jordan Times, Jordan’s Minister of Education Omar Razzaz says the government has adopted a “full divestiture model”, which implies that all the interests of a government in the public sector are transferred to the private sector. As a result, Jordan’s economy is currently private sector-oriented, with direct state ownership becoming increasingly rare. It’s estimated that the government’s participation in public companies was approximately 15 percent, but once the privatization process began, it went down to less than 6 percent. Although the state is still active in sectors such as mining and utilities, over the past 18 months, privatizing the utilities sector has become a priority—particularly water management and sewage treatment systems. For example, Jordan has one of the four largest wastewater treatment plants in the world, which is vital for its agricultural sector, as it provides safe water for irrigation. These efforts are in alignment with the government’s ‘Jordan 2025: A National Vision and Strategy’ that seeks to increase competitiveness, continue to increase financial and environmental sustainability, and enhance productivity. An example of the success attributed to Jordan’s privatization process is evident in the energy sector. A decade ago, Jordan’s energy sector faced major challenges due to limited domestic resources and its dependency on energy imports. A subsidy system overwhelmed the state budget, while increasing domestic demand for energy put additional pressure on the sector. 2011 was a landmark for Jordan’s vulnerability to energy dependency as Egypt—Jordan’s main gas provider—was impacted by the Arab revolution. To compensate for the gas shortages, Jordan resorted to importing more expensive fuel, putting excessive pressure on the country’s budget. Over the past 18 months, Jordan has promoted renewable energy resources with several projects currently being financed to establish a presence in the renewables sector. For example, the Jordanian state is continuously developing solar energy projects, wastewater treatment plants to support its waste-to-energy projects, and water systems pumping stations. It is estimated that the growth of renewable energy is on track for achieving its goal of reaching 15 percent of Jordan’s energy by 2020. 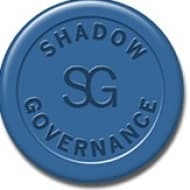 According to Shadow Governance sources, Jordan’s privatization process is most impressive due to the high level of transparency implemented from the initial stages of the tender process to the financing and execution of the project. This transparency level was especially noted in projects that were initiated over the past two years. To ensure continued transparency, the Jordan Investment Commission (JIC) ensures that the right procedures are in place to improve and facilitate Jordan’s business environment to comply with the country’s Economic Growth Plan 2018-2022 and continue to enhance the country’s privatization program. As a result, a new investment plan was established, with the JIC further restructuring the procedures and simplifying the registration and licensing process.